Bonjour lecteurs! Being a parent, you want the best for your little ones at all times. And there are so many products on the market, it is sometimes not that easy to select the right ones, right? 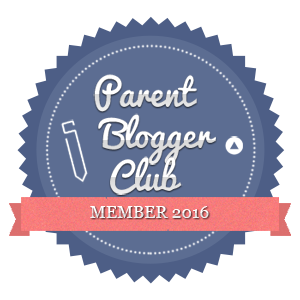 So I am always on the lookout for brands to feature on the blog. We love testing all sort of items with Baba and then share with you our opinions. 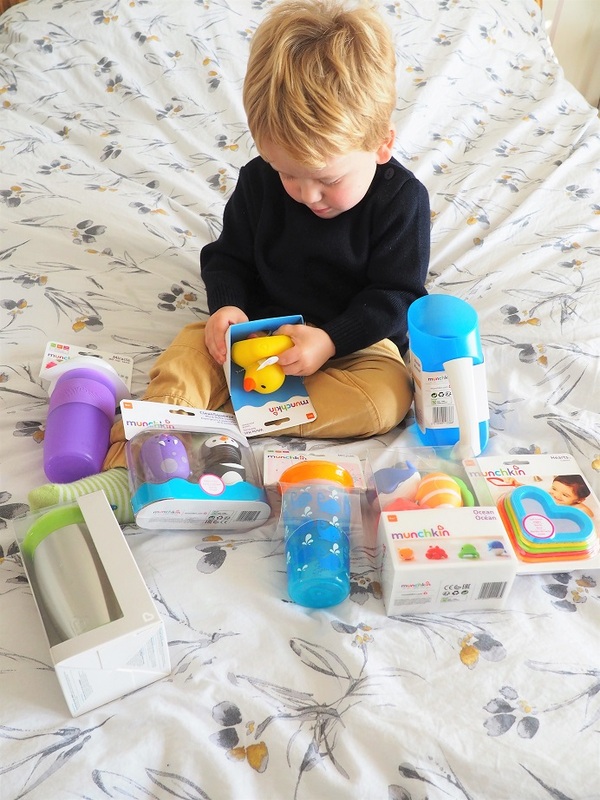 To celebrate the Munchkin Collaboration With International Fund for Animal Welfare, the brand sent us a selection of items for the bath and a couple of cups. We tested them and it is now time to share with you what we think. The Hearts Bath Toys are my fave as they help with so many skill. You can practise colours and numbers and also work out how to stack them all together. Obviously, Baba really enjoyed pouring water with them. He was actually pretending to wash his other toys with it! I tried to hide the parcel in the bedroom but he was quick to find it! Loving playing with a bit of water! And the sweet duck (that reveals the word HOT in white if it is unsafe for your little one! How clever!) with the CleanSqueeze™ Easy Clean Bath Squirts made it even more entertaining! The duck was on his radar within minutes! 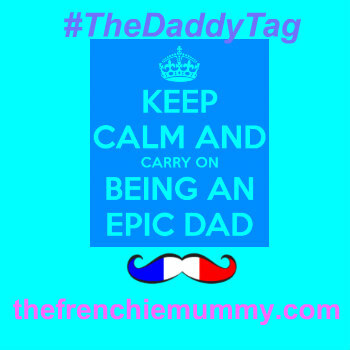 Those are really funny little characters that I fancy squeezing too if I feel un peu stressed out! Pourquoi pas? Those are so cute and funny to squeeze! Our lovely Munchkin parcel also enclosed some really cool cups! Actually, if you follow us on Instagram, you might have seen my stories this week where I used them too! They are so clever. Indeed, the whole Miracle® 360° Cups collection has more than pretty styles and funky colours! He looks so grown-up with his cup! 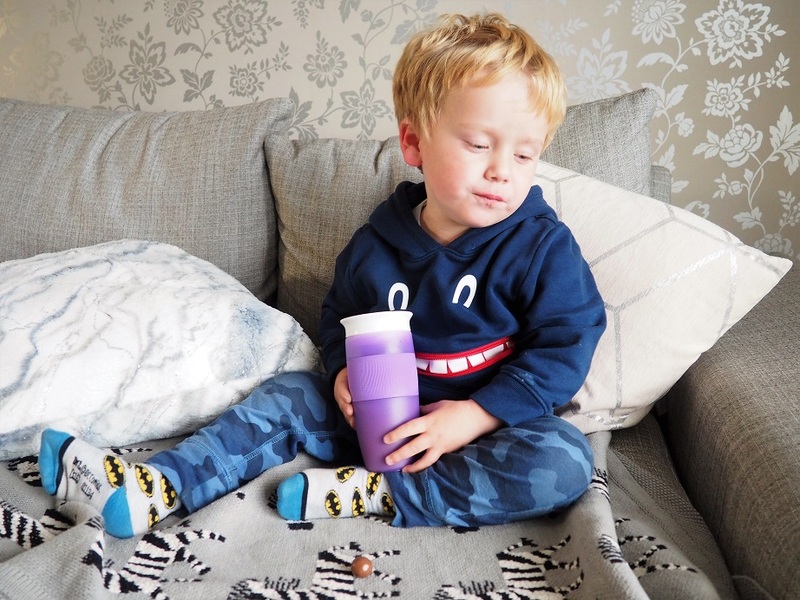 Those toddler cups are designed without a spout so that it is very gentle on your little ones’ mouth! I made the most of them during my workouts and Baba enjoyed them too as it made him feel like a grown up with his own cup! He even likes saying ‘cheers’ with us when we drink! Grumpy Boyfriend’s cousins laughed so much when we visited them last weekend when he did that! But you better be careful when Baba wants to do so with you. He is very strong and he could spit your drink! And they are BPA-free so your kiddies are safe! Hurrah! Showing me how to do it! 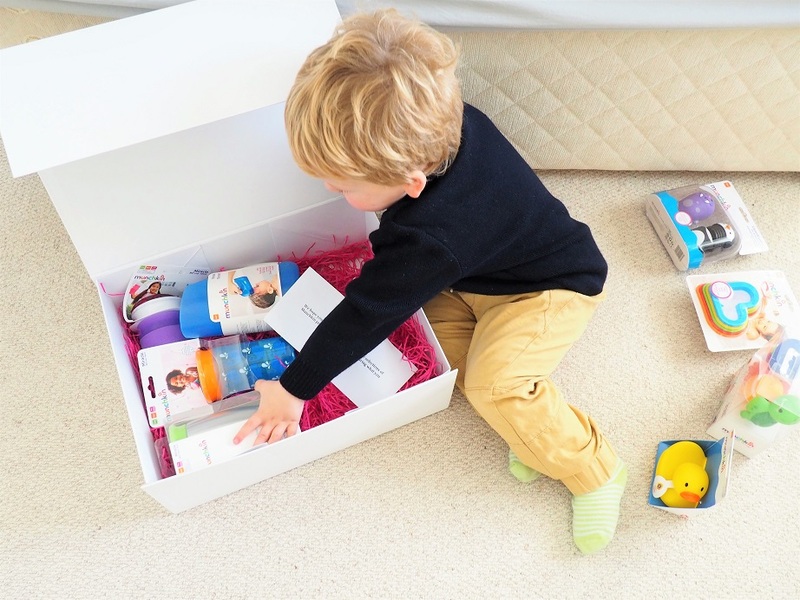 Munchkin is a baby products company that parents have been trusting for over 25 years now. The label is always eager to develop innovative and modern products for your little ones. It has just announced a unique new partnership, including a donation, with the International Fund for Animal Welfare (IFAW). 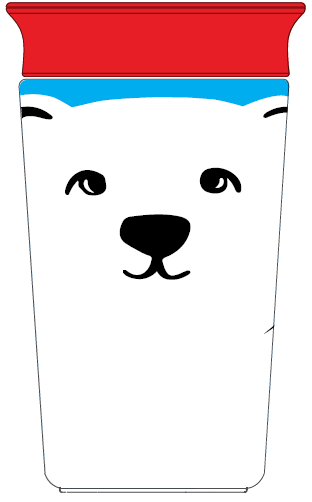 Indeed, the cute label has re-designed its fabulous #1 selling Miracle® 360° Cup, featuring animals currently endangered or under threat including the African Elephant, Polar Bear, Red Fox and Orca. Each cup comes with complete with child-friendly stories and information about each of the featured animals, including key facts about the conservation challenges all species face. It is a lovely collaboration. 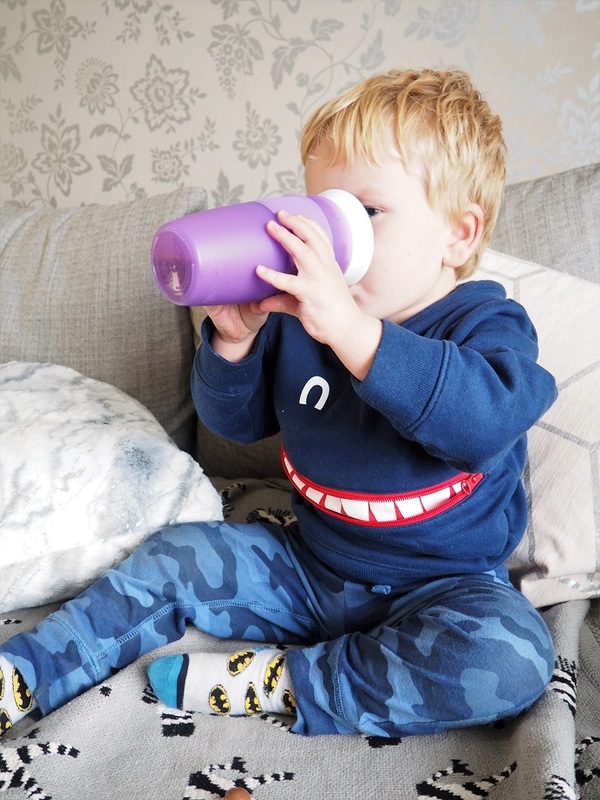 Not only the cups feature the fab details we described above but they also have some cute guests on them! You will have guessed it, each cup has the animals on it. It is a great commitment from Munchkin to support the welfare of the planet and creating a more sustainable future for our children. It is great to see a label with such good ethics and eager to support our children’s future. We love it when brands are being eco-friendly! Therefore, the packaging for the Conservation Cup is made from 100% recycled and recyclable materials and eco-friendly inks. This fab baby lifestyle brand is on a mission to educate parents and support animals! If you also want to make a donation today, visit now the International Fund for Animal Welfare’s website. What do you think of brands like Munchkin that use their influence for a good cause? Do you also support any fund for animals? Do you think we should educate more kids about those issues? Disclosure: This is a sponsored post written in collaboration with Munchkin. Cups that don’t spill are a genius invention. My youngest granddaughter used one when she was tiny. Those cups are adorable! I think the future of our planet depends on companies taking on the responsibility of being green, and it looks like Munchkin have really embraced that. Well done them! Animal welfare is extremely important to me and any company that supports it is great in my book. I love the cups and I am sure Arlo would too. I think children are very aware of the issues, particularly about plastic. Munchkins are a very good brand and it is good they use their influence for good causes. I do support local animal charities, particularly the places that take in uncared or unwanted animals. 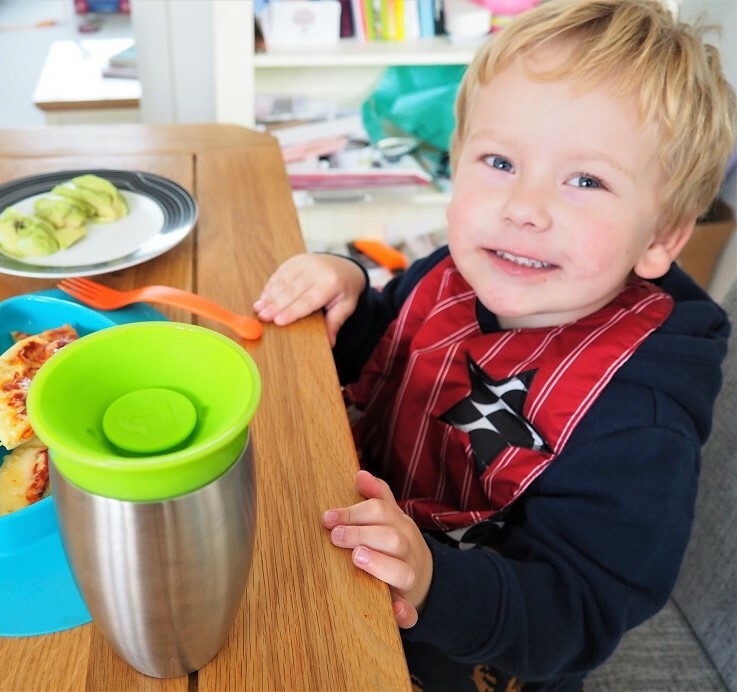 Non spill cups are great we have one for our grandson for part time school . Great cause Animal welfare so many neglected animals out there . We support our local cat rescue team . These cups for the little one’s are fantastic and it is great that Munchkin use their influence for animal welfare. 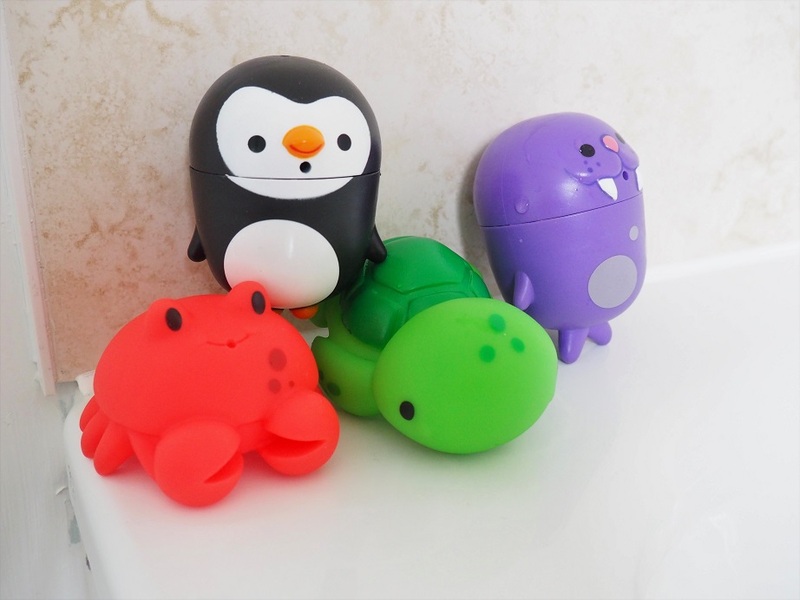 I love the looks of those little cute characters – the bath toys look fun. That cup looks great too, no-spill are the best. I love the bath toys, they are so cute and the bath time will be extra special. Awesome cup also, perfect design and colours. The cup looks fabulous. Anything that doesn’t spill is good. The cups that don’t spill are just brilliant. 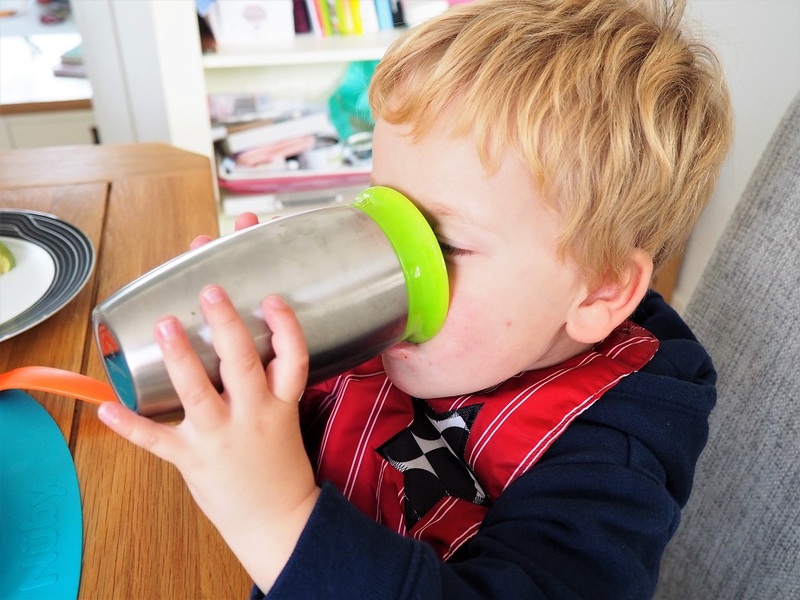 They helped massively in teaching my littles ones to drink out of normal cups. I think it’s fantastic that they’re using their influence for such a good cause. Hats off to Munchkin for their values. I’m so careful now to recycle but the amount of plastic waste I have is scary. I want to leave this planet a clean, safe place for my grandchildren. 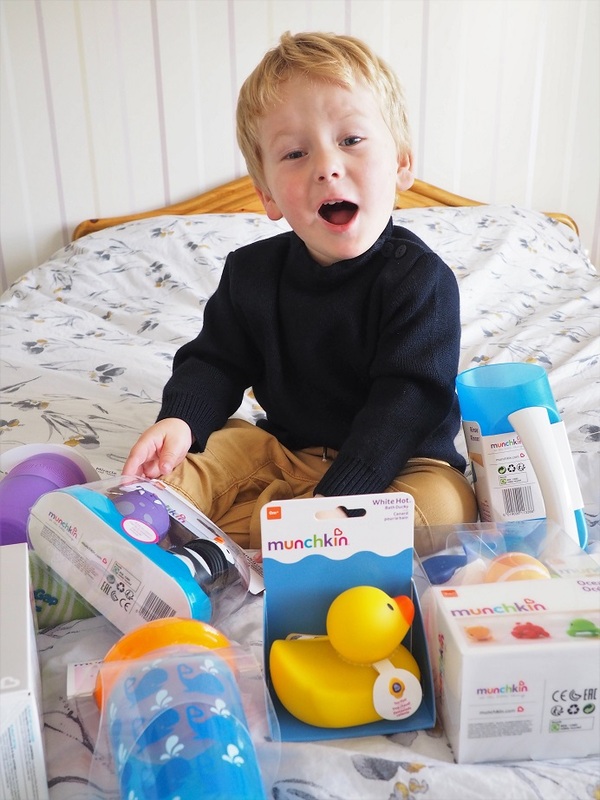 We love Muchkin products! The bath toys are super sweet and what a great charity link up. fun bathtimes ahead in your house 🙂 I love the idea of the conservation messages/animals on the mugs too. Well done Munchkin – my pals with little kids really rate the ‘unspillable’ mugs too. We always loved Munchkin products when my three were little. Those cups look brilliant! We love Munchkin in general and I used to buy bits for little button we she was teeny. We actually have the tub to wash hair with! It works so well… I even use it. ? I’ve always been a fan of Munchkin’s innovative products. They really do make life easier for parents. Drink spillage was my mums biggest pet peeve growing up I know she’ll laugh to herself now knowing a cup to prevent spillage exists now! The cups are GREAT ! I’ve never heard of this brand before, but it sounds like something my kids would use regularly. – I’ll definitely have to check it out now. Thanks so much for the review! These are absolute Genius! This is something i certainly need for my youngest. 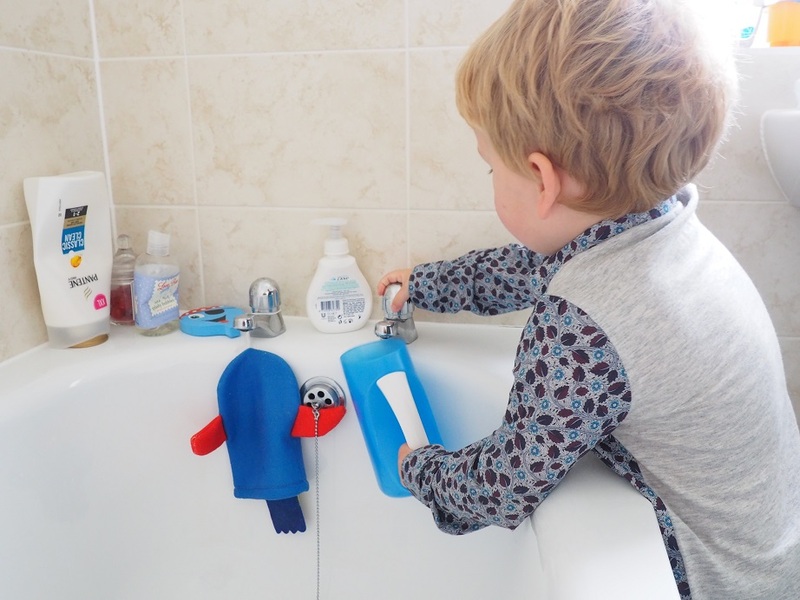 Its a ruperb range – love the safe bath toys too. Sometimes I think that half the fun is taking it all out of the box. Love the cup, stops puddles on the floor and everyone slipping on them. Also love the colourful toys. Amazing that the cup actually works because all the cups I ever tried that were spill free – always spilled!! How wonderful that Munchkin have collaborated with the Internation Animal Welfare Fund. This is something very close to my heart, so any company who does this has thumbs up for me! 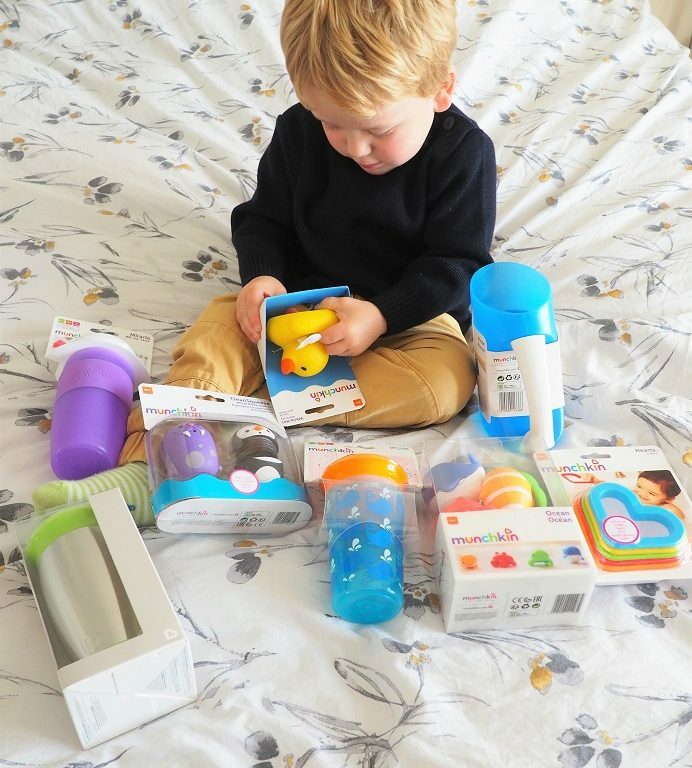 I really do like the Munchkin Bath Toys & i think I will buy some for my niece (more presents for her Christmas sack) so thank you for this post. Wonderful characters and products. I am so pleased to see IFAW raising money in this way. We have always loved munchkin products ? Looks like a great brand and love the colourful designs. Children have a habit of finding things you try to hide from them ?